This article presents and discuss Visual Ethnography as Methodological approach to research on embodied making and learning in preprimary education. Children’s making processes with materials and tools are visible. What children learn in and through these processes is not necessary visible. The article reflect on how visual ethnography (Pink, 2007) contribute to uncover and understand ongoing learning processes through visual documented making situations. The empirical material referred to, includes children from one to six years old and staff in Norwegian kindergarten as participants. Ethnographic methods are frequently used in educational research. Rose (2007) discusses visual methods within different methodological approaches. Preschools and Early Childhood Centers in Reggio Emilia, Italy (Giudici, Rinaldi, Krechevsky, 2001; Rinaldi, 2006; Vecchi, 2010) has developed various ways of documentation that focus on visual readable material. 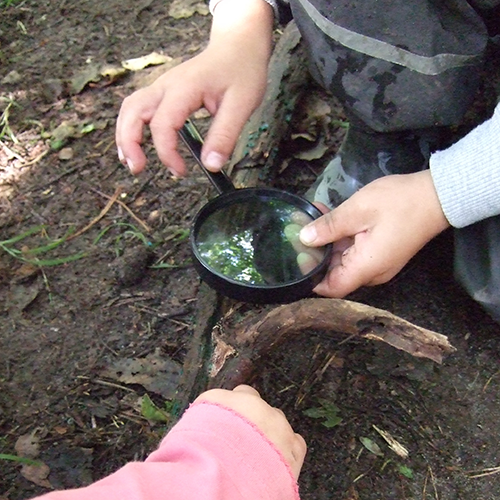 Norwegian kindergartens inspired by the educational experiences in Reggio Emilia aims to develop pedagogical documentation as didactic tool in daily educational processes, with visual presentations as central part. The article discusses how visual ethnography as method gives the opportunity to present research findings also through visual representations, how these may give another insight in small children’s making than pure written text, and focus on ethical dilemmas concerning visual presentation. The connection between visual ethnography as research method and the presentation of research insights and findings, explore and visualize small children’s learning processes during embodied making with materials and tools, and contribute to research on children’s learning processes in preprimary education.